When Scott and Linda Gardner hire a tutor for their wayward son, he's quickly embraced as part of the family. But while charming and capable, he's concealing his own dark agenda. As each family member takes him into their confidence they feed the threat he poses - only 11 year old Ruby seems able to sense the evil in him. In his most chilling book yet Peter Abrahams creates a living, breathing portrait of a family's hopes, fears and secrets. And of the menace they welcome into their home that threatens to destroy them. 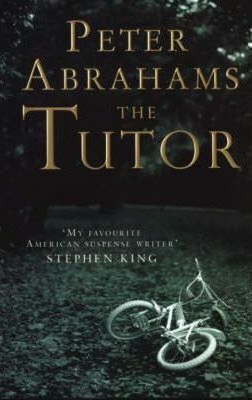 Peter Abrahams is the author of eleven previous novels, including Crying Wolf, A Perfect Crime, The Fan. He lives on Cape Cod with his wife and four children.